In this webinar, Kerrie-Anne Sommerfeld examines industry engagement expectations embedded in the Standards for RTOs. You will assess options for facilitating consultation that bring industry expertise to bear on training and assessment, and encourage industry contributions to maintaining industry currency. Kerrie-Anne Sommerfeld focuses on helping RTOs meet the VET Quality Framework Standards related to teaching and assessment, including the professional development and coaching of teaching staff. 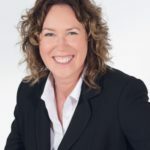 Before beginning her consultancy, Rubric Training Solutions, Kerrie-Anne developed, facilitated, implemented and managed teacher professional development for a large Victorian TAFE Institute.